Weebly vs WordPress – What’s the Best Way to Build a Website? As sitebuilders like Weebly become more and more popular, a lot of people have been asking how they stack up against traditional self-hosted options like WordPress. If you’ve been thinking of building a website, you’ve probably searched for things like “Weebly vs WordPress” in order to get some more information. Here’s the good news—we’ve done all the hard work for you and broken down all the relevant information. We’ve compared Weebly to WordPress in various areas like cost, ease of use, customizability, and so much more. One quick thing before we get started—to keep bringing you these awesome guides for free, we may get a tiny commission if you purchase hosting using our links. 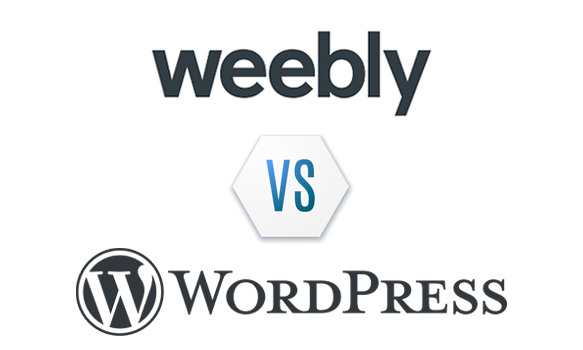 Let’s jump right in to comparing WordPress vs Weebly and see how everything breaks down! And if you’d like to jump ahead to any specific section, just click one of the links below. The various categories about make it extremely clear how WordPress compares to Weebly in a variety of areas, which helps to separate their strengths and weaknesses. With a self-hosted WordPress site, you are responsible for obtaining a web server, getting WordPress installed on your server, making sure that everything is secure and up to date, and managing all other aspects of the server. With a WordPress.com package, you essentially connect it to your domain and they manage the hosting, security and everything on the backend. You’re responsible for managing security, updates, etc. Essentially, hosting a WordPress installation yourself on your own server is great for people who are a bit more technical or who are interested in having the ability to customize their site to a greater degree. Buying hosting from WordPress.com where they handle everything is great for people who may be less technical and need a lower degree of customization. Comparing WordPress & Weebly—Which is Easier to Get Started On? One of the biggest things when it comes to ease of use with WordPress and Weebly is that Weebly is a bit more geared toward beginners. With Weebly, they really gear their system toward “drag and drop” with their What You See is What You Get (WYSIWYG) editor. Yes, WordPress (.com or self-hosted) has a WYSIWYG editor, but it’s not as simple as Weebly’s. With WordPress, you still need to choose a theme, configure it, and there’s code to edit and understand, etc., and you don’t have that with Weebly. Yes, you can do some HTML if you want to, but everything can also be accomplished without writing any code just using their visual editor. Does this limit customization? Absolutely, but it’s easier for some people who don’t need a high degree of customization. While WordPress is more robust and can do more things, it does require a little bit more knowledge and it isn’t as easy to get started on as Weebly is, so the winner in this category (especially for beginners) is Weebly. When it comes to design options, WordPress and Weebly are quite a bit different. Yes, you can use each one to build a website, but the way that they accomplish this varies significantly. With WordPress, you can choose a “theme” for your website, which is basically a fancy name for a design template. This includes a variety of things like store themes for ecommerce websites, blog themes, magazine themes, etc. The nice thing about WordPress themes is that they are extremely customizable, as has been mentioned multiple times in this comparison. Want to write a custom function to display a specific message to your blog readers or when people check out on your shopping cart? No problem! Want to customize basically anything with your website? It can be done with self-hosted WordPress (which we recommend Bluehost for). Not as much with WordPress.com, but still more than Weebly by far. Many WordPress themes are free, but most of these are quite simplistic. If you really want to get a nice-looking WordPress theme with all the bells and whistles, you need to pay for one. This is just the way it is because developing an extensive, great-looking theme takes a lot of time and effort, and this isn’t something that can be done for free. There are a lot of great websites like ThemeForest.net where you can find beautiful WordPress themes for often less than $50 depending upon the theme. Can’t Write Custom Code? 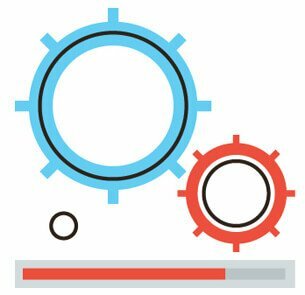 WordPress Plugins to the Rescue! The awesome and amazing thing about WordPress is that it uses small add-in programs called “plugins” to add functionality. Plugins are a great way to add features to your website without actually hard-coding them, especially if that’s not something you have experience with. Plugins can do everything from helping you add a contact form to tracking statistics and optimizing images. There are typically three models for plugins: free, freemium, and premium. Free plugins allow you to use them completely for free, and most WordPress plugins fall into this category. Many are supported by donations to the plugin author and it doesn’t cost anything to use them. They may have limited functionality over freemium and premium plugins, but many of them are awesome as they are. Freemium plugins are plugins that are free to download and use, but a purchase is required to unlock premium features, hence the name freemium, which alludes to the fact that there are both free and premium features in the plugin. Often times, freemium plugins are awesome without buying the extra features, and other times they are quite limited without buying the upgraded version. Premium plugins are essentially paid plugins that you can’t download or access without first purchasing. These plugins cost anywhere from a few dollars to hundreds of dollars depending upon the plugin, and sometimes they are worth every penny. One thing to note about WordPress.com vs self-hosted WordPress is that there are some plugins they may not allow you to run, and other plugins may have limited functionality. This is just their way of ensuring that rogue or buggy plugins don’t cause problems, but unfortunately it also limits your customizability and options. If you want to have the biggest degree of customizability, you’ll definitely want to host your own WordPress installation instead of going with WordPress.com. 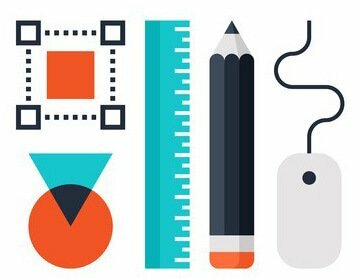 In a nutshell, WordPress plugins are an amazing way to add functionality and features to your WordPress website, and they’re a feature that’s unique to WordPress. When Weebly first launched, they used to call their website templates “templates,” but now similar to WordPress, they call them “themes.” However, Weebly is a bit lower-level than WordPress when it comes to their design options and templates. Weebly does have a variety of beautiful templates, but the problem is that you can’t customize them to the same level that you can with WordPress. Yes, you can write custom HTML in the templates and style them (to a certain extent) using CSS, but it’s not the same as WordPress where you literally have control over almost every aspect of your website (although this is a bit limited in WordPress.com websites compared to self-hosted WordPress websites). Similar to WordPress, you can choose to purchase an paid theme which will typically be more robust and better-looking than a free Weebly theme. Sort of “copying” the success that WordPress has had, Weebly decided to modify their platform to allow add-ins similar to WordPress plugins, which they call “apps.” However, there are thousands and thousands of WordPress plugins, and only a few hundred Weebly apps. This is because the Weebly app market just isn’t nearly as robust—and of course, WordPress sites account for more than 30% of the entire Internet so if you were going to develop a Weebly app or WordPress plugin, which would you do? WordPress of course! That said, Weebly apps can definitely add some function to websites like stat counting and contact forms, but honestly—they don’t compare to WordPress plugins in general. The Winner for Design Options: WordPress by a Mile! While Weebly is simple and easy to use, it just can’t compare with WordPress when it comes to the design options and customizability. Our pick is WordPress, hands down in this category, and for WordPress hosting for beginners, we recommend Bluehost! Weebly or WordPress: Who Has More Features? Both platforms are incredibly feature-heavy, but this is a situation where WordPress has an edge. Weebly features are mostly out-of-the-box things that are geared toward getting started quickly. For example, Weebly has some ecommerce features that are integrated by default that WordPress doesn’t as well as some mobile apps and similar things. This all points to the same type of thing that we’ve been saying throughout this comparison—if you’re looking for out-of-the-box features, then Weebly is quite robust, especially for beginners. However, if you’re looking for a more in-depth feature set, you may want to consider WordPress more strongly. With respect to features, WordPress doesn’t really have anything built in to start—it’s more or less a very capable blank canvas. WordPress can be used with thousands of plugins, themes, and other things to customize the feature set that you’re looking for. And, if you think that you may have a blog or website that grows substantially, WordPress is a great platform that can grow with you in terms of adding features as you go, where Weebly is a lot more limited. Weebly has some built-in features that are great for beginners or people who want a fairly simple website, but that’s about it really. The real winner here in terms of features is definitely WordPress. Try Bluehost below to get started with your own WordPress site today! There’s a fairly big difference between Weebly and WordPress when it comes to pricing, although both options can be had for a similar dollar amount. We’ll break this down by each option, and then choose a winner in this category. At the time of writing, Weebly has 5 pricing tiers, depending upon how robust of an installation you need. These tiers are: Free, Connect, Starter, Pro, and Business. This is just what it sounds like—it’s free but the features are very limited and you don’t have the ability to connect your own domain name. 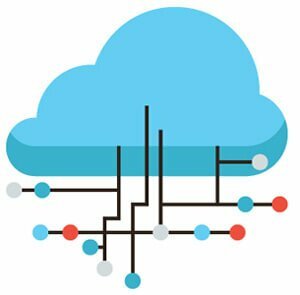 This adds the ability to connect your own domain name but not many other features. Weebly also requires annual payment on all their plans to get this pricing. The Starter plan comes with a free domain and adds some custom features like advances sites statistics, but not much more. This adds the ability to have a site search (something that’s standard on all WordPress websites) as well as video backgrounds and the ability to host HD video and audio. This adds almost all of Weebly’s features including the ability to have a membership section on your website. 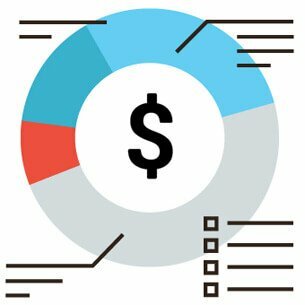 If you’re looking to setup a WordPress.com website, their pricing comes in 4 tiers and is pretty straightforward. In our opinion, it provides a lot more value than Weebly, but not as much value as a self-hosted WordPress website. As with this Weebly plan, this is just what it wounds like—a free WordPress.com subdomain where you can create a simple blog but not much more. You can’t connect your own domain or anything else. This plan allows you to connect a custom domain, adds support, and also a few other features like email. Building on the Personal plan, this plan opens up the ability to monetize your website and accept payments. The Business plan includes many of the features that you’d get with a self-hosted WordPress website including Analytics integration and the ability to upload custom themes, but at $25/month, it’s not really worth it in our opinion over a self-hosted WordPress website. When it comes to value, there’s no better option than hosting your own WordPress website. With a hosting company like Bluehost, you can get your site up and running for $2.95/month and have way more features than any of the other Weebly or WordPress.com plans—in our opinion, this is the way to go. There’s really no way to compete with the value and savings that you get when hosting your own WordPress installation (try Bluehost below to find out just how awesome it is to how your own WordPress website). Who Has Better Support: Weebly or WordPress? Support is one of the most important things that you can consider when choosing a hosting company or a sitebuilder. There’s no way that you won’t have problems with your website—it’s inevitable, the real question is—how will you handle them? And, will you have a great team with a proven track record helping you? Let’s take a look at the support options for Weebly and WordPress. Weebly has 3 options for connecting with support—email, live chat, and telephone support. This is nice to see because any major providers that offer support need to have these 3 options. Not everyone wants to talk on the phone, but it’s nice for explaining difficult problems sometimes. Chat is also nice when you don’t want to (or can’t) wait for a response to a ticket. And of course, trouble tickets are nice for help that requires a little more work or when you need to submit a support request and move on to something else. The main drawback with Weebly’s support is that their telephone support is not 24/7 unfortunately. They have specific hours—Monday – Friday, 6AM to 6PM ET, and Saturday – Sunday, 8AM to 5PM ET. The problem with this is that website problems often occur at odd hours and not being able to contact support can big a big problem, especially if your website is generating revenue. WordPress.com support is only chat and ticket support, which is unfortunate considering the price of their higher-tier plans. While their support has a good reputation and has had good reviews in other places around the web, this is a big knock in our opinion. The great thing about self-hosted WordPress support is that you can choose your hosting company, which means that you decide how much support (or how little support) you want/or need. In this situation, you can pay more for hosts that have good support or less for lower levels of support. Our recommendation would be to buy the best level of support you can afford and the best hosting that you can afford. In this case, Bluehost has 24/7/365 chat, ticket, and telephone support and represents, in our opinion, the best value in hosting support. Weebly and WordPress.com just don’t have the same level of support that you’d get from from Bluehost and hosting your own WordPress website. In addition to having awesome support, their telephone support specifically is U.S. based which is just awesome. Click the link below to try Bluehost today! Hosting your own website with WordPress! As you can see above, this really can’t be beat in terms of value and functionality. Yes, there’s a little bit of a learning curve, but there’s no comparison in terms of pricing and features that you get with hosting your own site. And, if you choose a good company with awesome support, they can help you get everything set up which is really a win-win situation. 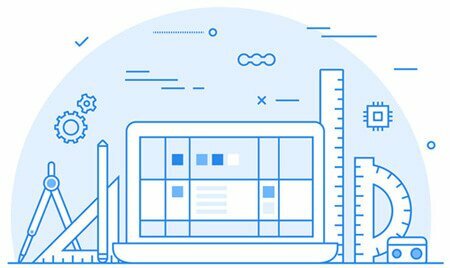 For this, Bluehost is one of the best combinations of price and quality that you’ll find—we use them ourselves and can recommend them with 100% certainty! Click the link below to try Bluehost today and get your WordPress site up and running! Get started with Bluehost and host your own WordPress website today! Trying to Decide on Weebly or WordPress? We think self-hosted WordPress is the way to go! If you’re ready to start a WordPress blog today, check out the hosting companies below—they’re awesome for beginners!